Techno master Luigi Madonna shares his favourite tunes ahead of the ultimate Ibiza closing party this weekend. It's almost that time. 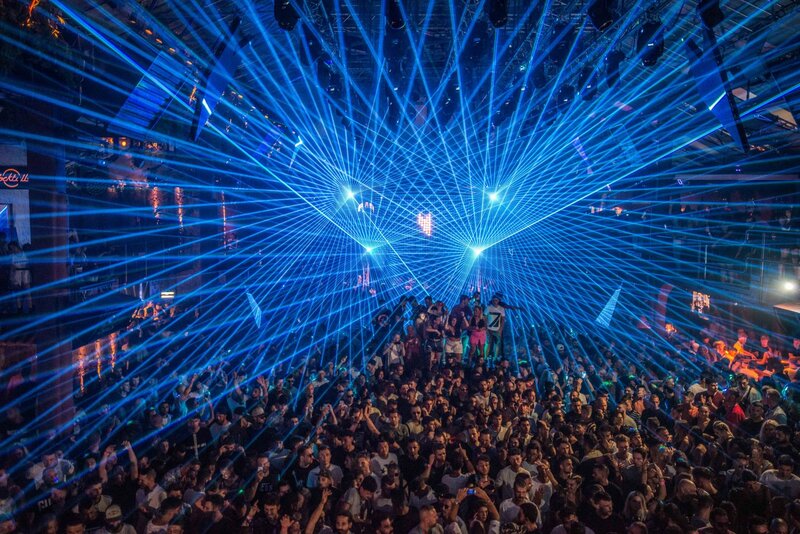 One of the highlights of the Ibiza closings is about to hit the island: the Amnesia closing party. We caught a hold of headliner Luigi Madonna for a quick chat and his take on the tunes of the summer ahead of the final date this Saturday 13 October 2018. Ranking among the ultimate events in terms of both endurance and indulgence, this is one party you want to attend. This year's line-up is once again quite juicy, including representatives from many of Amnesia's and indeed Ibiza's favourite parties. On the decks, we have Music On staple Paco Osuna, Do Not Sleep resident DJ Darius Syrossian, ABODE regular GW Harrison and Pyramid resident and techno-wizard Luigi Madonna, as well as De La Swing, Djebali, Luca Donzelli, Mar-T, Mathias Kaden and Les Schmitz. We caught up with Luigi Madonna ahead of this massive final gig for some insights of what awaits. The Italian-born, Amsterdam-based DJ has been going hard since well his whole life, considering he started at 11 years old. Last year alone he had around 120 gigs, playing practically everywhere, both worldwide and on the island - from Awakenings to Circoloco, via RESISTANCE, Do Not Sleep, HYTE and as a resident this year at Pyramid. This means one thing: he is an Ibiza party pro. Depending on where he is, he varies his style, ranging from straight-out techno to a bit softer, but he always tries to maintain his musical signature. A tad of house influence is apparent - both in his productions and his sets - but darker, groovier, faster and harder. While his style changes slightly, he tries to keep those distinctive sonorities. No matter where he plays, he always maintains that groove that makes one want to dance. As he told us, he has a general idea of what he is going to play, but based on the dance floor he follows the wave. Regarding Ibiza in general and Amnesia in particular, he said, "Well here there's a very special energy. People come on holidays to go party, a vibe that you don't find elsewhere. Many other places are gorgeous in the summer, but Ibiza is unique. There are no comparisons - there's just no place like it on the planet." He explained that to be a good DJ, it is important and useful to understand the crowd and have been a part of it. And that's exactly what he does. Here are his top tunes from summer 2018. Dive in. I discovered this in 2000/2001 thanks to Body & Soul Vol 1 by François Kevorkian and I was in love with it. I'm playing this record still nowadays. This is a piece from the heart, in my opinion. Mathew Jonson is one of my favourite producers and, of course, he has to be on my Top 5. I was playing this record a lot. These were transitional years for me. I was moving from the house scene to the techno world. These were also the years when Marco Carola inspired me the most. Adam and Ida are two amazing artists, and I'm proud to call them friends. When I heard this record I was shocked about the perfection of the melody and arrangement. Still nowadays when I hear this tune, it gives me goosebumps. And here you have it - a taste of what awaits for this final hurrah this Saturday at Amnesia. See below for full details and tickets for your last chance to party in one of the island's clubbing institutions.